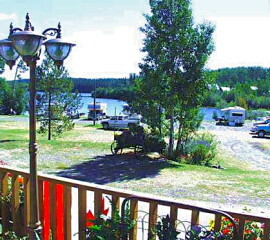 Lodging & Campgrounds on Takysie Lake, BC. 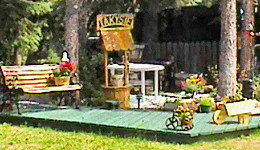 Welcome to Takysie Lake Resort / Likkels Lakeside Resort! Just follow the Yellowhead Highway 16 to our very own "Land of the Awes"! We are located South of Burns Lake, BC, off Yellowhead Highway 16, on Highway 35, in north central British Columbia. We are pleased and excited to have purchased the adjacent resort and are now the Super Resort of the Lakes District. We have greatly expanded and are working hard to ensure that everyone's stay on beautiful Takysie Lake in BC's Lakes Disctrict is an unforgettable one. We can now offer you everything you need for a great holiday getaway! 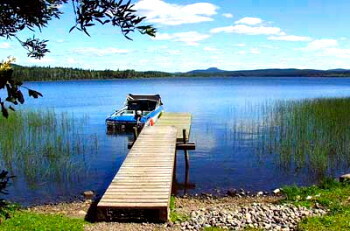 Lakeside cabins, fully contained suites, RV campsites, boat rentals, restaurant, store, fuel sales, propane, liquor, bait, tackle, licenses ... even fireworks! You name it ... we probably have it at Takysie Lake Resort! The name 'Takysie' means 'lake of many fishes'. The abundance of rainbow trout in will excite even the non-fisherman, as each day the fish rise and leap from the water for their daily meal. 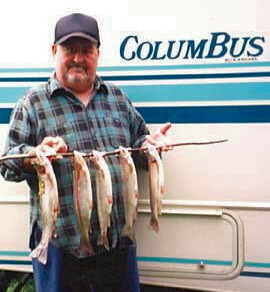 Takysie Lake supports a very good rainbow trout fishery for wild BC rainbow trout up to 2+ lbs. The lake is ideal for fly fishing. In addition to fly fishing, the trout respond well to conventional trolling methods using spinning gear, flatfish and small spoons. Listen to the call of the loons, and watch the eagles soar overhead. Tour the lake in one of our aluminum boats to view an eagle's nest or catch your own next meal. Our lakeside resort is secluded with a peaceful tranquility that's difficult to find. 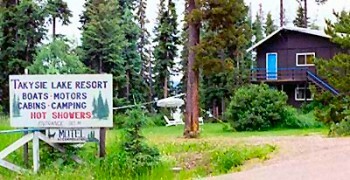 Motel units, each with a separate bedroom, living area, full bath and equipped kitchen for four, and satellite TV. Or enjoy a lakeside cabin, with a bedroom, living area, kitchen facilities, electricity, wood-stoves and cold running water. Flush toilets, hot showers, and laundry facilities are available in the Campground area for your convenience. Our Campground has over 30 RV campsites with power and water. Visitors using our RV campsites will appreciate the Sani-Dump station, guest docks and a boat launch, available for our Campground patrons, as well as docking for floatplanes. 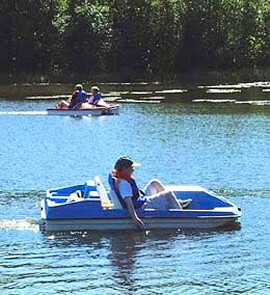 We have 14-ft aluminum boats and motors for rent as well as canoes and paddleboats (lifejackets provided). IT'S ALWAYS BEAUTIFUL AND PEACEFUL AT TAKYSIE LAKE RESORT . . . Our very own "Land of Awes!"